Sometimes cats are too curious for their own good. 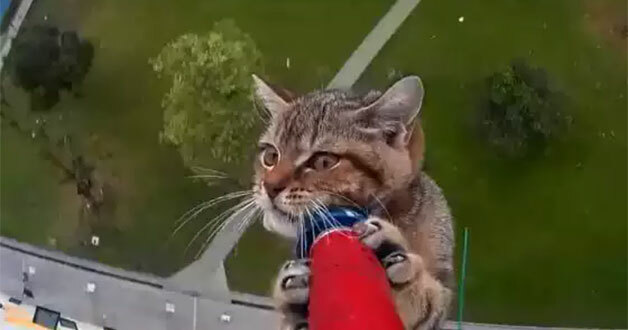 This kitten fell off a 12-storey HDB kitchen window in Ang Mo Kio and was left stranded on the outside ledge. Luckily, SPCA and the police were quick to react after a neighbour spotted the poor kitten and notified them. The rescue was captured on video and uploaded by SPCA in hope to get cat owners to mesh up windows and gates to prevent such mishaps from happening. According to Cat Welfare Society, an average of five cats fall to their death or are gravely injured every month due to safety lapses at home. Know a cat owner who might find this video useful? Share it with them and who knows, you just might save the cat or kitten.